Ecuadorian authorities announced Tuesday that Ecuador's embassies in the US and UK have received over 10,000 messages in support of Wikileaks' Julian Assange's bid for political asylum in the country. "Thousands of people asking the Ecuadorian government to accord asylum to Julian Assange, founder of Wikileaks, sent a steady stream of messages saying why they support him," stated Ecuador's Minister of Foreign Affairs. Michael wants you to take action on "End Polluter Welfare"! Hi, I signed the petition "End Polluter Welfare". I'm asking you to sign this petition to help us reach our goal of 10,000 signatures. I care deeply about this cause, and I hope you will support our efforts. The U.S. Fish and Wildlife Service is now accepting comments on protecting "critical" habitat for endangered northern spotted owls -- so please, help us push for a designation that includes all the habitat these unique owls need to survive and recover. Long a symbol of the Pacific Northwest's old-growth forests, spotted owls are threatened by both logging and the invasion of their territory by closely related barred owls. The Northwest Forest Plan protected a large portion of the owls' habitat on federal lands, but old forests continue to be cut down on private and state lands. The Obama administration has proposed to designate nearly 14 million acres of critical habitat for these owls -- an area that covers parts of Washington, Oregon and California. But the proposal also considers excluding more than 4 million acres because they're supposedly protected by other means. Please tell the Service to protect all the owls' essential habitat. The Bush administration detained and tortured suspected militants; the Obama administration assassinates them. Both practices not only visit more hatred upon the United States; they are also illegal. Our laws and treaties prohibit torture. The Constitution forbids the government from depriving any person of life without due process of law; that is, arrest and fair trial. Do you really own your computer? Do you really own the smartphone or computer you’re using to read this email? If you sold your computer, would you be breaking the law? A federal court in New York says you would be. The First-Sale Doctrine gives us the right to sell most property we own. But if the Supreme Court supports the lower court’s decision, we won't really “own” anything if it's from a different country. We expect them to issue a ruling later this year. The President can urge the Court to side with consumers; then Congress will probably weigh in on the issue, no matter how the Court rules. If we lose this fight, anybody who wants to resell foreign products, from Macbooks and iPhones to our clothing and textbooks, will have to ask copyright holders for permission first. And they'll have the right to deny it! It's bad for so many reasons: It'll undermine Craigslist and Ebay, hurt the environment, increase incentives for manufacturers to move jobs off-shore, and effectively ban the traditional American yard sale. The tragic case of Adnan Farhan Abdul Latif hit a dead end when the US Supreme Court issued an order refusing to hear his case last week. Latif, a Yemeni man, has been imprisoned at Guantanamo Bay since January 2002, after being detained while traveling to seek medical treatment. Citing national security concerns, the Obama administration on Wednesday rejected requests by the ACLU and the New York Times for documents relating to the US military's drone and targeted killing campaigns. Will you join me in signing the petition to Ecuadoran President Rafael Correa urging him to grant Julian Assange's request for political asylum? 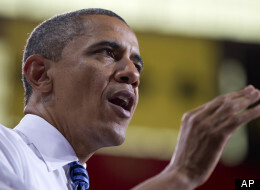 Will Obama Administration Come Clean on Its Killer Drone Program? 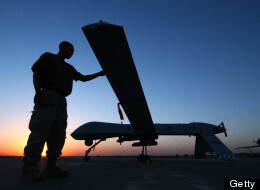 After a nearly three year legal battle to obtain government acknowledgement of its clandestine overseas drone and assassination program, the ACLU waits with determined patience today to see how the Obama administration responds to court imposed deadline for an official response and what, if anything, they will release as part of a Freedom of Information Act request first filed in January of 2010.
Who Can Blame Assange for Seeking Protection from US Extradition? If one asks current or former WikiLeaks associates what their greatest fear is, almost none cites prosecution by their own country. Most trust their own nation's justice system to recognize that they have committed no crime. The primary fear is being turned over to the US. Michael wants you to take action on "Stop US Contractors from Using Slave Labor in Iraq and Afghanistan"! Hi, I signed the petition "Stop US Contractors from Using Slave Labor in Iraq and Afghanistan". I'm asking you to sign this petition to help us reach our goal of 20,000 signatures. I care deeply about this cause, and I hope you will support our efforts. I just signed Pesticide Action Network’s petition urging EPA to take immediate action to protect bees from clothianidin, a pesticide known to be particularly harmful. The next week is critically important for those of us who want to avoid an unnecessary and costly war with Iran. Iran has come to the table for negotiations about the future of its nuclear program, with the next round of multilateral negotiations taking place in Moscow right now. But the Obama administration is under tremendous pressure to abandon diplomacy with Iran, and follow a path that would make war inevitable. And much of the pressure is coming from warmongers like Mitt Romney adviser John Bolton (an ambassador to the United Nations under George W. Bush), who want the talks to fail. We need to speak out now to ensure that President Obama knows the American people support diplomacy, not war. Tell President Obama: We support your calls for diplomacy with Iran, not an unnecessary and costly war. Many in power seem to have learned nothing from the catastrophic mistake and tremendous moral failure that was the war in Iraq. There is already dangerous momentum to begin a war of choice with Iran. And should the Moscow negotiations break down or bear no fruit, the drumbeat for war will only grow more intense. To his credit, President Obama is clearly not rushing to start another war. But many members of Congress, including many Democrats, are pushing him to offer nothing meaningful to Iran until Iran gives the United States and its allies everything we want. President Obama must know that there is full-throated support for diplomacy that can prevent an unnecessary war. Thank you for speaking out for diplomacy. Ready for what's next from Dow Chemicals? GE crops modified to be resistant to the herbicide that's a main ingredient in Agent Orange! The herbicide, 2,4-D, is linked to cancer, reproductive problems, and Parkinson's and is banned entirely in parts of Canada and Europe. And yet the USDA seems ready to approve the new GMO Corn and Soybeans, unleashing a major increase in the use of 2,4-D.
Now, the EPA is considering stepping in to stop or restrict the application of 2,4-D, which would be a major blow to Dow's Agent Orange veggies. It's the 21st century, and our tax dollars are still subsidizing major polluters -- to the tune of billions every year. Meanwhile, Big Oil is reporting record-breaking profits while our climate is reporting record-breaking warming. Sen. Bernie Sanders (I-Vt.) and Rep. Keith Ellison (D-Minn.) debuted new legislation last week to repeal $113 billion of those tax breaks, handouts and subsidies for the fossil fuel industry over the next 10 years. Big polluters are not going give up these handouts without a fight, so we're asking you to join forces with the Center for Biological Diversity, 350.org and a coalition of other groups to fight back hard. Join this common-sense effort by adding your name to this simple message: Stop subsidizing big polluters. Blog title...Tell President Obama: We support diplomacy with Iran, not an unnecessary and costly war. Iran has come to the table for negotiations about the future of its nuclear program, with the next round of multilateral negotiations scheduled to take place in Moscow on Monday and Tuesday. But the Obama administration is under tremendous pressure to abandon diplomacy with Iran, and follow a path that would make war inevitable. And much of the pressure is coming from warmongers like John Bolton (an ambassador to the United Nations under George W. Bush), who want the talks to fail. I just signed a petition telling President Obama that we support diplomacy with Iran, not an unnecessary and costly war. I hope you sign the petition, too. It's easy to do so. Just click on the link below. Another fine action from ANSWER! Mass march against Stop and Frisk this Sunday! Join the 'Justice for Ramarley' feeder march! Click here to unsubscribe from the ANSWER e-mail list. It is a great day to end US drone strikes. Hopefully we will see better reflection of American values in actions of US special forces in future yrs. Bin Laden assassination a disgrace. Bradley Manning has been nominated for the Nobel Peace Prize. Please join us in urging the committee to award it to him. He's earned it. Activists in the Pakistani town of Multan protest against US drone attacks on a Taliban stronghold. "Unmanned droned strikes are all about American domestic politics rather than about the countries where they are used," writes Cockburn. (AFP)As the US and its allies ponder what to do about Syria, one suggestion advanced by the protagonists of armed intervention is to use unmanned drones to attack Syrian government targets. Message to .nu TLD authority. Way to kill innovation! It appears that GNU-Darwin is losing the xi.nu domain, due to very dicey moves on the part of the TLD authority. price. I recommend avoiding the .nu TLD at this time. CIA drones are reportedly reviving the use of highly-controversial tactics that target rescuers and funeral-goers. On Monday US drones attacked rescuers in Waziristan in western Pakistan minutes after an initial strike, killing 16 people in total according to the BBC. On May 28, drones were also reported to have returned to the attack in Khassokhel near Mir Ali. Robert Grenier, a former CIA counter-terrorism head, has slammed President Obama's drone program telling the UK's Guardian that we have been "seduced" by drones and that the drones are killing people "indiscriminately." Implying that the drones have been killing civilians, Grenier told the Guardian in the interview: "It [the drone program] needs to be targeted much more finely. We have been seduced by them and the unintended consequences of our actions are going to outweigh the intended consequences." 17 civilians have been killed in a NATO airstrike in eastern Afghanistan, according to a local official in Logar province. Al-Jazeera reports that the target of the strike was the house of a tribal elder in the district of Baraki Barak, citing the head of the Logar provincial council. Denying the loss of innocent life, NATO said it knew of only two light injuries to civilians during the pre-dawn missile strike on Wednesday. Michael wants you to take action on "Say No to Destructive Drilling in the Arctic"! Hi, I signed the petition "Say No to Destructive Drilling in the Arctic". I'm asking you to sign this petition to help us reach our goal of 30,000 signatures. I care deeply about this cause, and I hope you will support our efforts. Tell House Democrats: Support President Obama by drawing a line in the sand on the Bush tax cuts for the wealthy. A "grand bargain." "Taxmageddon." The "Fiscal Cliff." Whatever happens in the November elections, we're headed for a major showdown in the lame duck session at the end of the year that could result in a massive restructuring of the role of government. We know what the Republicans want: to keep taxes on the wealthy and large corporations unconscionably low and military spending sky-high; to gut Medicare, Medicaid and Social Security; and to make brutal cuts to important domestic programs like food stamps and unemployment insurance. But the Democrats have presented a confusing, incoherent and inconsistent picture of their bottom lines. We know backroom negotiations are already happening. And if you want to stop the Democrats from pre-emptively caving, it's time to speak out. I just signed a petition asking House Democrats to draw a line in the sand on Bush tax cuts for the wealthy. I hope you join me. You can sign the petition at the link below. There's a conventional wisdom in Washington that there's nothing we can do politically to stop the U.S. government from killing innocent civilians with drone strikes. This week, the New York Times reported that the U.S. government has declared by fiat that it will count any "military-age male" killed by a U.S. drone strike as a "combatant" unless it is proved otherwise. That helps explain how U.S. officials could claim that few "civilians" have been killed by U.S. drone strikes. Reps. Dennis Kucinich and John Conyers are circulating a Congressional letter to President Obama, pressing the Administration to communicate with Congress about U.S. policy on drone strikes, particularly concerning civilian casualties and so-called "signature strikes" against unknown people. The Campaign for Innocent Victims in Conflict, Amnesty International and other groups are pressing the Administration on the same demands. Pressing the Administration to speak honestly and openly with Congress and the American people about its drone strike policy is the first step to stopping the U.S. from killing and harming civilians with drone strikes. Join me in urging your Representative to sign the Kucinich-Conyers letter demanding transparency in the drone strike policy. To stop receiving any emails from AddThis please visit: http://www.addthis.com/privacy/email-opt-out?e=M0pZMV8yfjJQIBMxXydJPFB7USdZ in your web browser.